Save Some Time! 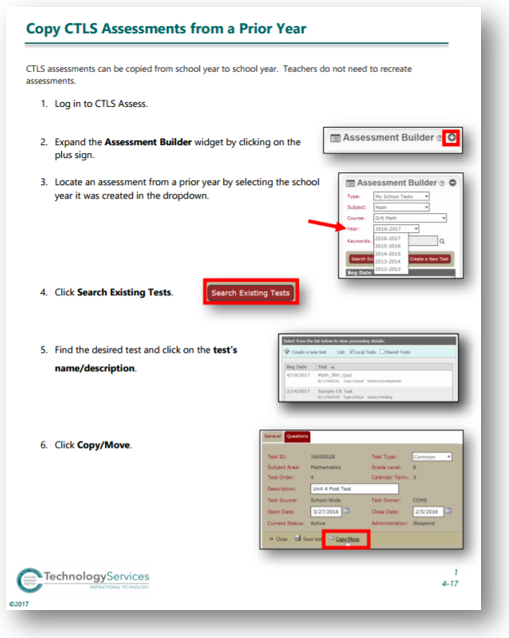 Move and Customize Your Assessments from Last Year! 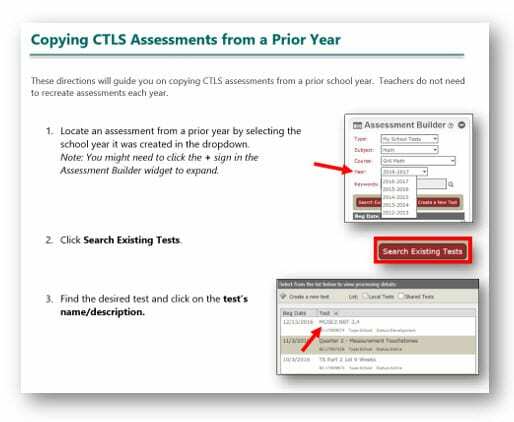 Save time in CTLS Assess by copying and moving prior year’s tests! Follow the directions linked below to locate an assessment from a prior year. This is the time to make any revisions or corrections to the assessment before you publish for the 2018-2019 school year! Click HERE for directions. Reach out to your TTIS if you have questions or need support. 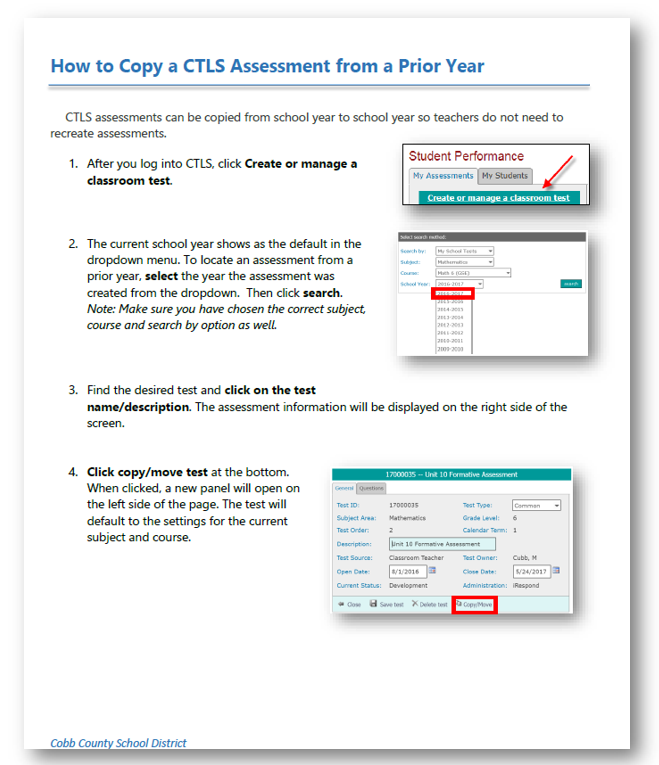 Save Time by Copying your Tests from a Previous Year in CTLS Assess! Did you create assessments during a previous school year? Well, no need to reinvent the wheel! Save time by copying those tests over into the new school year. 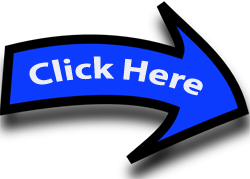 Follow the directions linked below to locate an assessment from a prior year and create a copy and/or move the assessment to the current school year and subject. New Look, New Name, New Features! Welcome to a new school year with CTLS Assess! We are excited to announce that the CTLS Student Performance Tool (SPT) and CTLS Phase 2 will now be known simply as CTLS Assess and CTLS Teach. Within CTLS Assess there are many new and exciting features! First, you will notice that the dashboard has a fresh new look with user friendly widgets that can be personalized to quickly locate your assessment tools. Within Item Builder, you will discover three new item types: Multi-Select, Constructed Response, and Extended Constructed Response. Your local TTIS will provide training this year on how to create these items, use them on assessments, and score them to view the data. 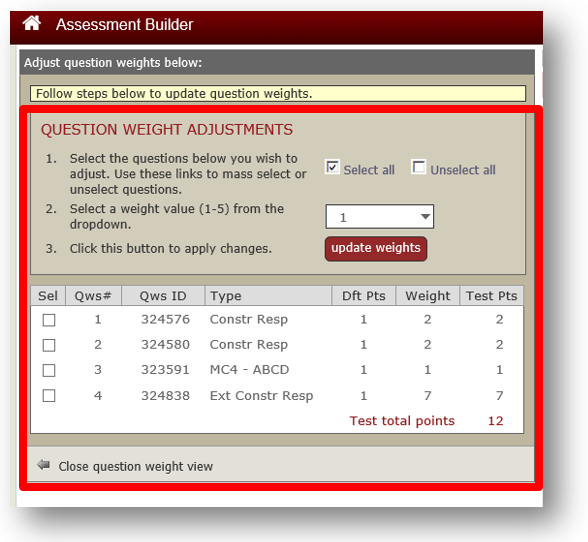 Another new enhancement is the ability to customize the weighting or point values for questions in Assessment Builder. There are also new filter options when searching for data results. 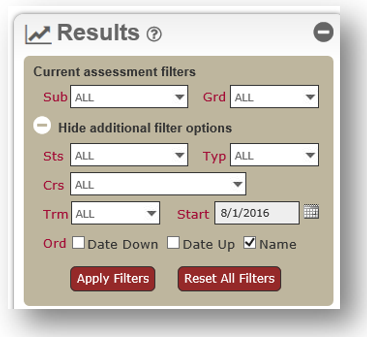 These filters include the ability to search data by course, term, type, and completed, active or pending tests. You can also customize the data results to show in order from date up/down and by name. 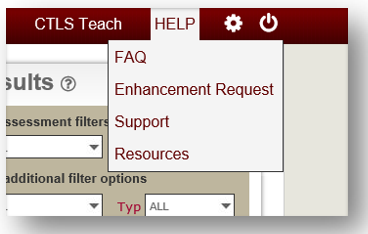 Under the “Help” link in the top right corner you will notice that you have quick access to assessment and support resources. In this section, you will find video tutorials and step-by-step documents for all aspects of CTLS Assess. This menu also contains Frequently Asked Questions and an option to submit Enhancements Requests. Lastly, administrators can now create “Teams” of teachers or PLCs to facilitate data sharing and analysis among the team members. If you need additional support please contact your local school TTIS. We wish you a great new school year with CTLS Assess! 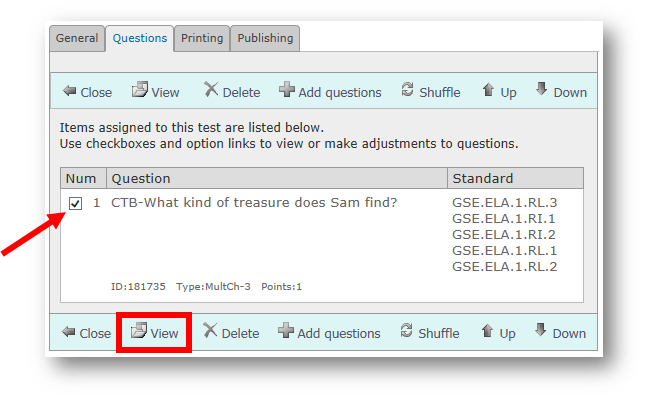 Recently you may have noticed some minor changes to the printing tab in Test Management. 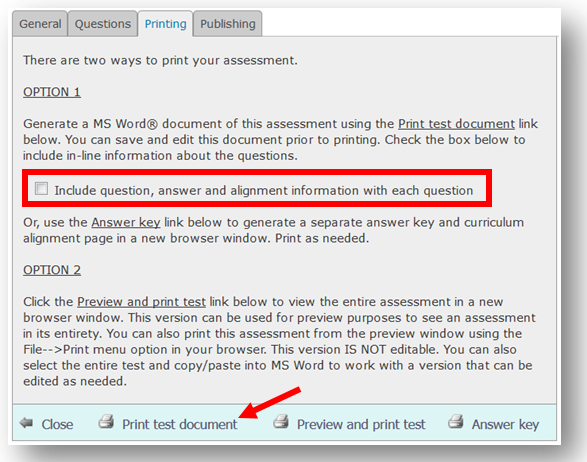 Now you will find a checkbox to print the assessment including the questions, answers and standard alignment for each question. To do this, click the checkbox and then click “Print Test Document”. This is a great option as a final check of your assessment including answers and alignment prior to Publishing. 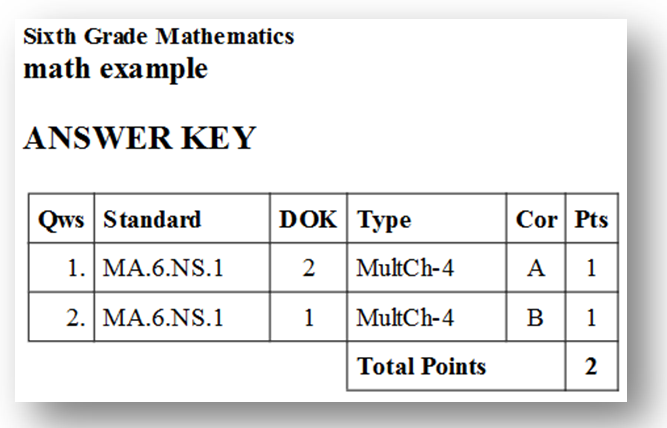 For those who would just like the answer key to an assessment, there is now an option to print an Answer Key only. 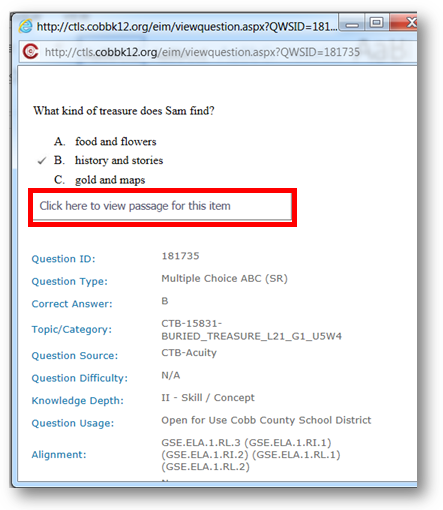 To print an Answer Key only, click on “Answer Key” at the bottom right. This will give you an answer key similar to the one below. In addition, If you would like to work with the assessment without the tables and other formatting that is in place, you can also choose “Preview and Print Test” option to open the assessment in a new browser tab. Copy and paste the assessment into a new MS Word document so you can edit and customize as needed. Seeking more Questions for a Reading Passage? 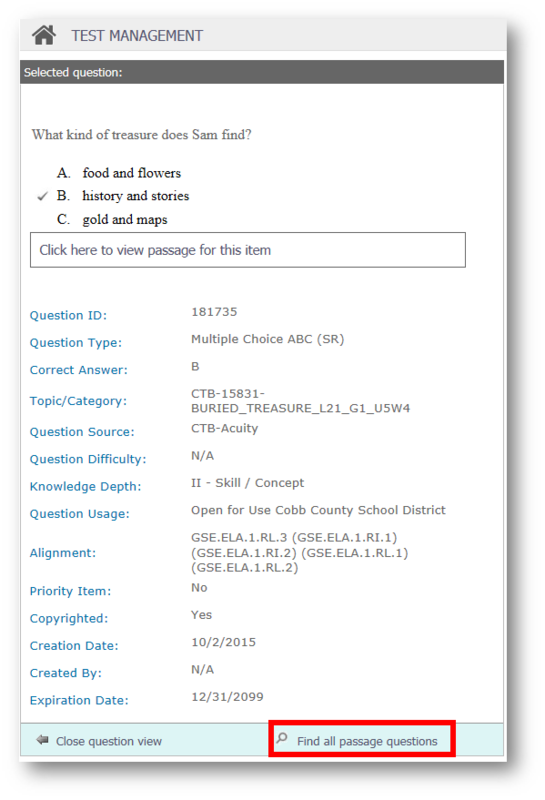 Did You Know that when you build an assessment that uses a supplemental passage you can search for all questions assigned to that passage? 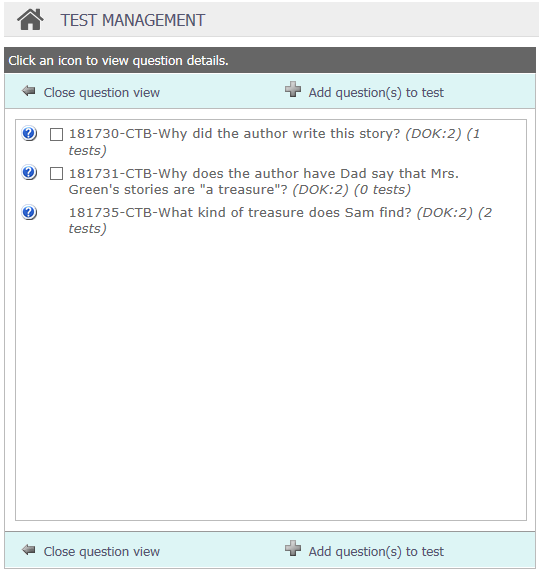 Open Test Management and find a question with a reading passage. 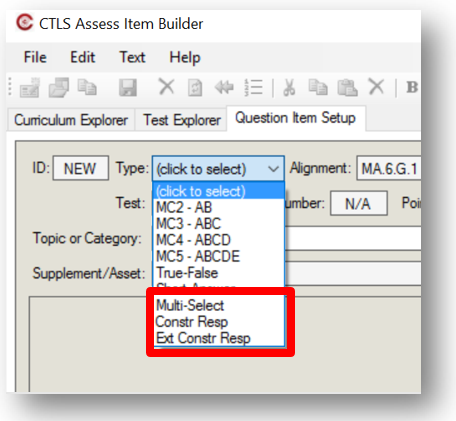 If you need additional support building a test you can find it in the CTLS Support Central. 5. Check the box beside any additional questions related to the passage to add them to your test. 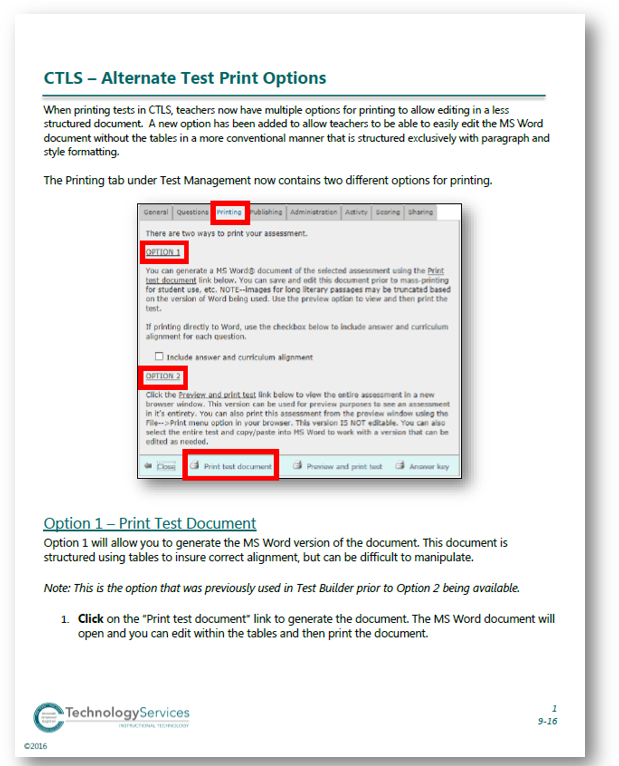 When printing tests in CTLS, teachers now have multiple options for printing to allow editing in a less structured document. A new option has been added to allow teachers to be able to edit the Microsoft Word document without the tables in a free-form style that is structured exclusively with paragraph and style formatting for easier editing. Want to create a test with questions from a different grade level? Well, now we can in CTLS Test Management! For example, you may want to create a pre-assessment in math at the beginning of the year that contains items from more than one grade level to get baseline data. 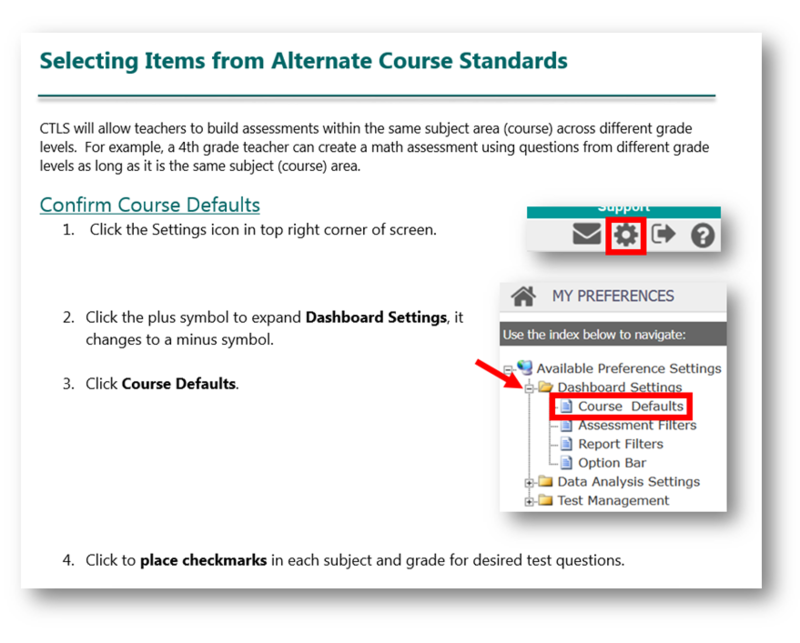 Now when you create assessments, you can select from other grade level standards and elements. Check out the step-by-step directions for this exciting new enhancement. Back to School!! Copy a CTLS Test from a Previous Year! Welcome back! As everyone is preparing for the new school year one thing you won’t have to prepare are assessments if they were created in a previous year! 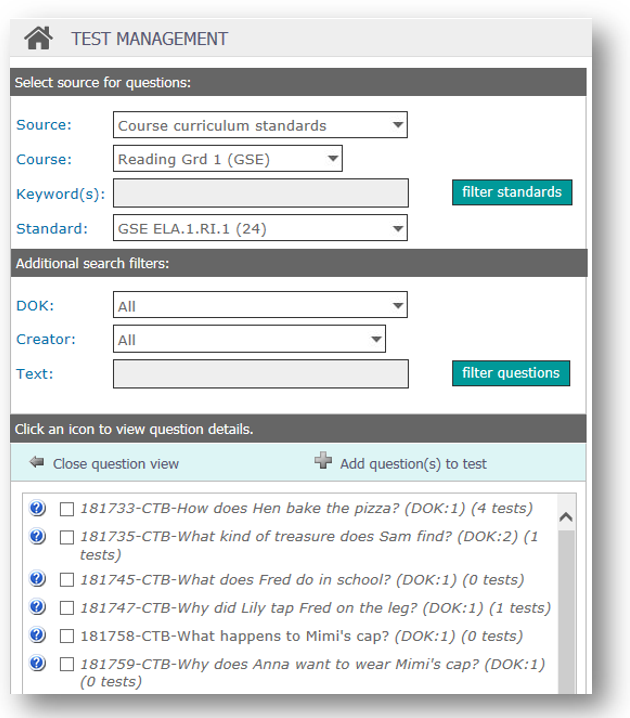 Also, as a new enhancement, you can now copy and move assessments into different subjects and courses! Follow the directions below to locate an assessment from a prior year and create a copy and/or move the assessment to the current school year and subject. 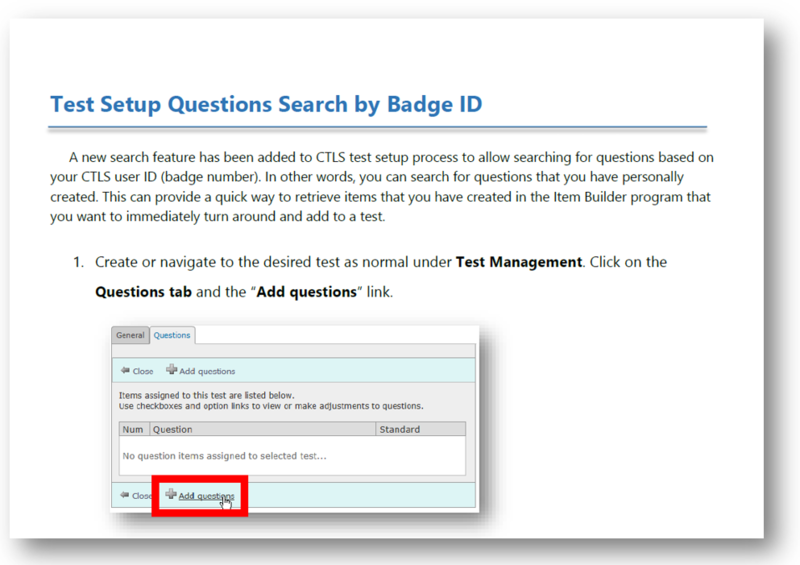 A new search feature has been added to CTLS test setup process to allow searching for questions based on your CTLS User ID (badge number). In other words, you can search for questions that you have personally created. This can provide a quick mechanism to retrieve items that you have created in the Item Builder program that you want to immediately turn around and add to a test. It’s here! Teachers now have the ability to share assessments with other schools! 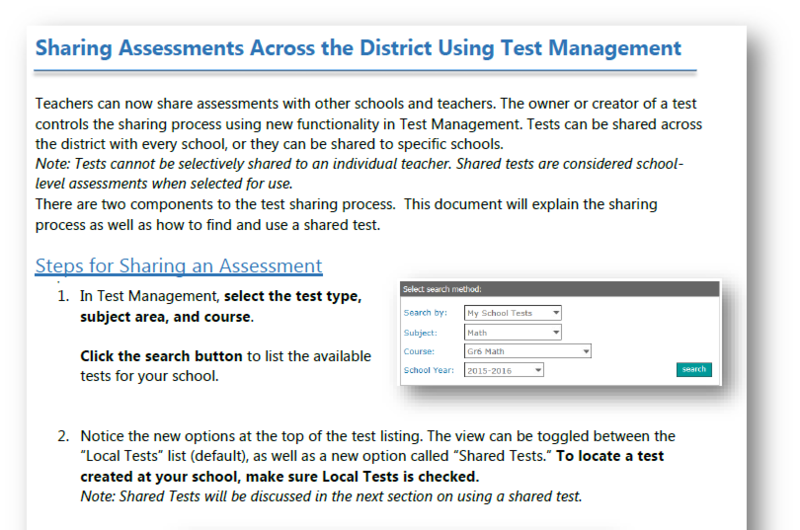 Tests can be shared across the district with every school, or they can be shared to specific schools. Please see the step-by-step directions below on how to share assessments and utilize assessments that have been shared at your local level.